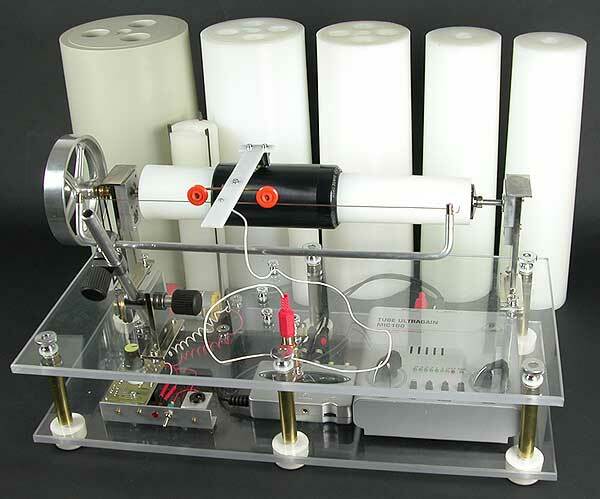 The Pauliphone (*) was built to play and make transcriptions of all kinds of phonograph cylinders to digital format. It was built along the principle of direct drive developed by Rob Lomas, and it is similar to a player built by Norman Bruderhofer. The Pauliphone is not intended to rival the Archéophone - a must in this field - but to come up with a simple way to play cylinders by modern means, and without ruining them. 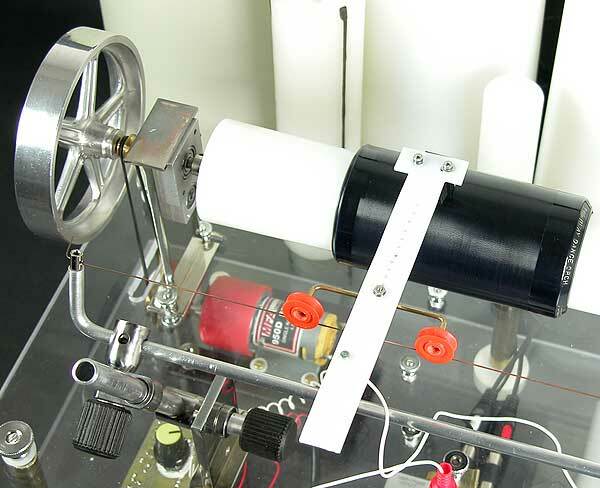 The mechanics: a 12 V DC motor from MFA with reduction grears, a kind of motor that is used in scale model building, drives the horizontal mandrel whose shaft rests on two ball bearings. Elastic supports provide acoustic isolation. A voltage control and a digital, contact free speed meter are used to regulate the speed of the mandrel in the range of 50 - 300 rpm. A set of eight interchangeable polypropylene mandrels allows wax or celluloid cylinders of all sizes to be played. A USB audio interface, the U-Phono UF0202 from Behringer, without RIAA correction, connects the preamplifier to the computer. By way of a sound processing program such as Audacity, Magix Audio Cleanic or iZotope RX the sound can be transferred to digital form or listened to in real time. It also makes some sound restauration possible, such as noise removal and filtering of some frequencies. (*) named efter my graddaughter.